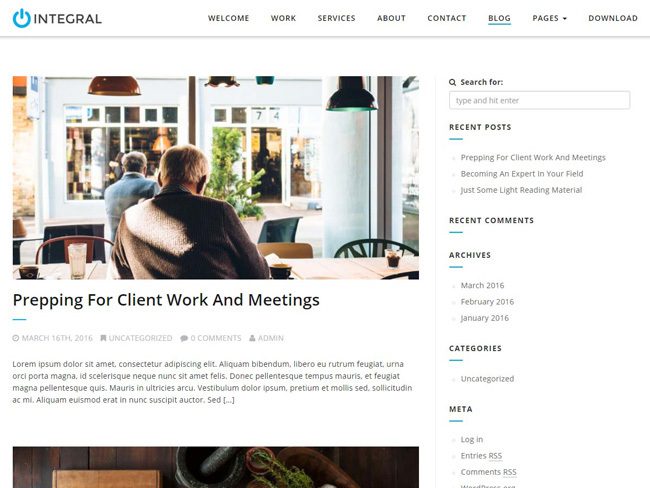 If you’re looking for a clean, modern and elegant WordPress theme, that is super easy to setup and manage, I suggest you check out Integral. 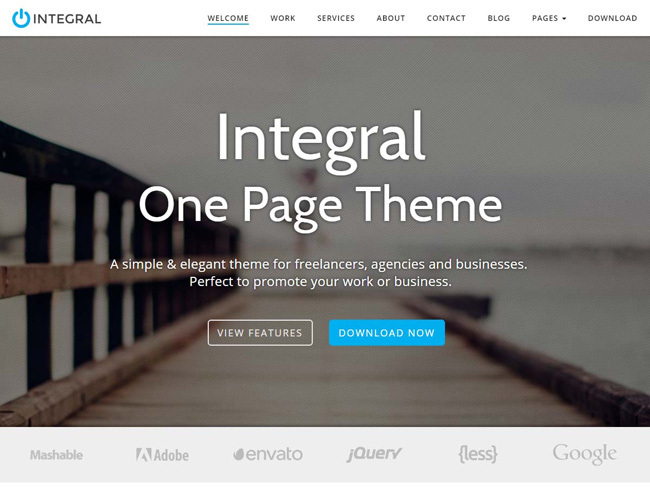 Integral is a powerful one page WordPress theme for professionals, agencies and businesses. Its strength lies in displaying content on a single page in a simple and elegant manner. 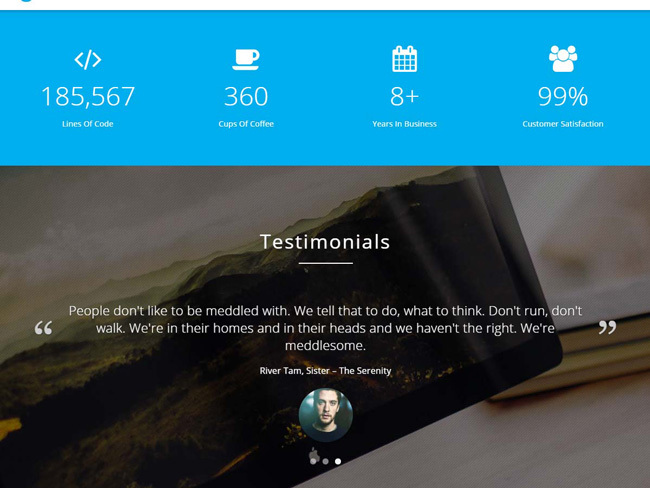 It’s super easy to customize and allows you to create a stunning website in minutes. It boasts a rich color scheme with light and dark sections accented with blue, green and red. It comes with a comprehensive admin panel with the ability to expand the site and add useful widgets. The result is a simple, elegant and professional website which does a great job removing as much “clutter” as possible, focusing the user’s attention on the most important content. 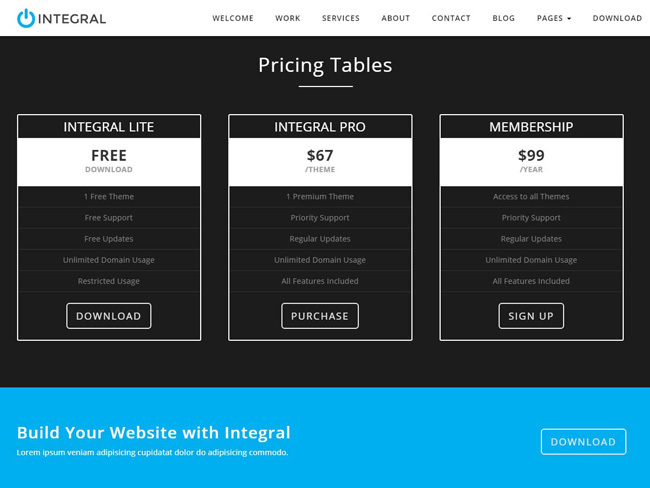 Integral comes in two versions; Free and Pro ($67). The Pro version includes additional features to further customize the theme including homepage elements, typography and additional sections. Use coupon code THEMELY10 to save 10% when purchasing Integral Pro. Easy-to-use theme options panel allows you to easily configure and customize your site. 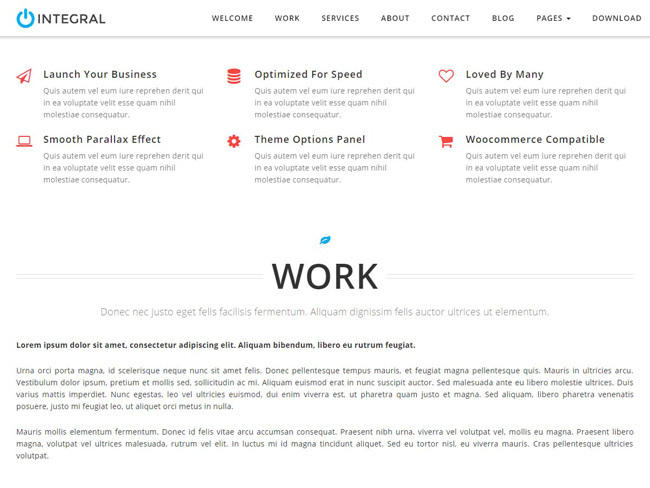 Create memorable pages with smooth parallax effect that everyone loves. 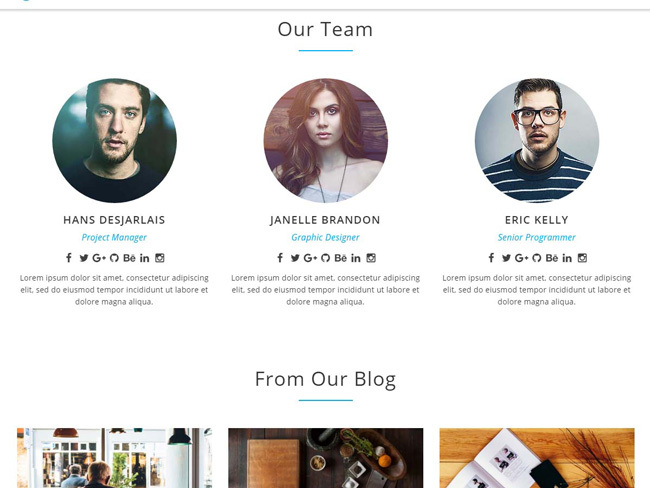 Fluid, responsive layout, so your website will display perfectly across all devices. Easily integrates with services such as MailChimp and ConstantContact. 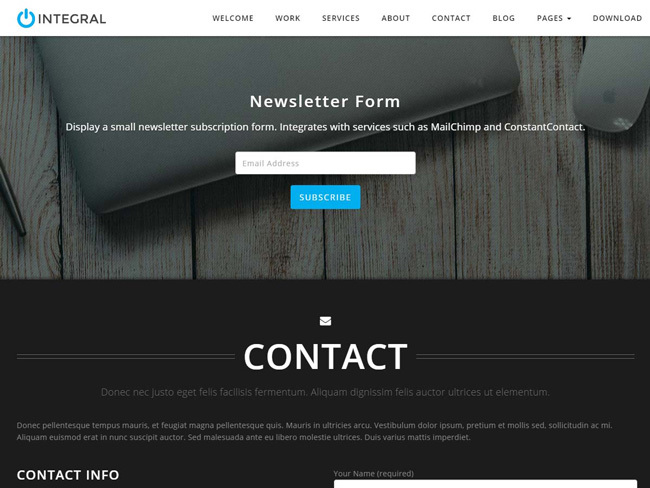 Comes packaged with and easily supports Contact Form 7 forms. 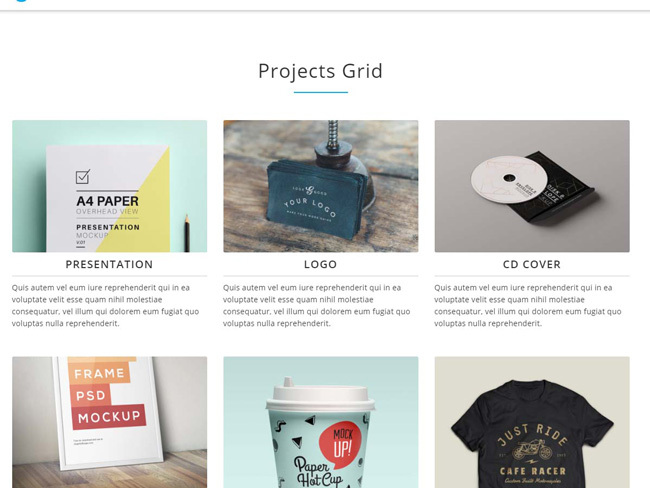 Sell products with the highly popular WooСommerce plugin. Tested with the latest stable version of WordPress. Themely offers a simple, step-by-step tutorial to create a sleek and stunning one page WordPress site with Integral. The how-to quickly takes you through the technical aspects of setting up the theme, importing the live demo content and customizing the layout. The Pro version also comes packaged with their “Theme Demo Import” plugin which allows you to import the live demo content in one click. This will provide you a base to build your website and speed up the development process. They’ve even created a video which walks you through the entire process. From setup to launch, Integral aims to provide the perfect amount of information for a user to decide and act upon it. The single page layout focuses all your information on the homepage (like about, services, contact) and tries to remove as much “clutter” as possible, focusing the user’s attention to the most important content. If you are looking to quickly develop a website for your professional career or business, I suggest you check out Integral. You can start by downloading the Free version and upgrade to Pro to take advantage of everything this theme offers.